When sea otters doze, they hold hands so they don't float away from one another, a practice we at Bas Bleu find irresistibly endearing! 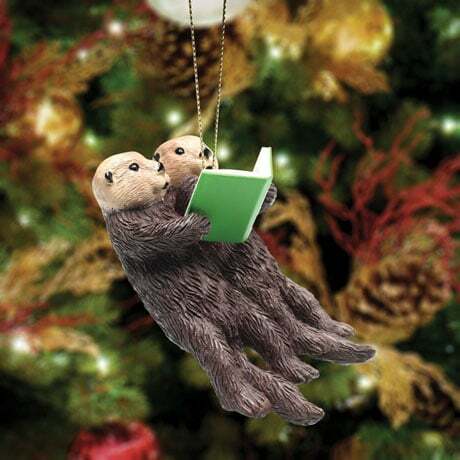 Our charming Reading Otters Ornament features two adorable otters holding on to each other with one hand, and holding open a shared book with the other. Hang this precious pair from your tree this Christmas—or gift them to your resident otter fan, your best friend, or that special someone as a reminder that everything is better with loved ones by your side!